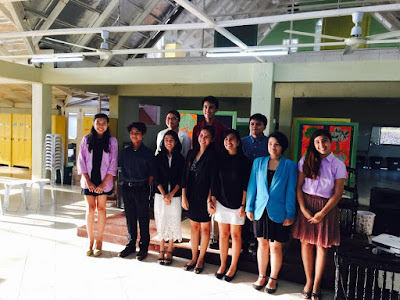 This past month was a whirlwind of activity, as a world-renowned education personality visits our Montessori school here in the Philippines, and high school students of said school set out to impact their community. Here is a FANTASTIC video documentary that showcases both; and it is also a great showcase to what the Erdkinder adolescent program of the Abba’s Orchard School is all about. It’s a long one (18 minutes), but you’re really, really gonna enjoy it. A big thanks to MVP Digital Video for their masterful work. Abba’s Orchard Erdkinder from The Abba’s Orchard School on Vimeo. So here’s the lowdown on what happened: on September 1 up to 3, The Abba’s Orchard school had the honor of being visited by David Kahn, the executive director of the North American Montessori Teacher’s Association (NAMTA) and one of the foremost authorities on the Montessori adolescent program in the world. I explained his impending visit to my students using an allusion they were very familiar with: that it was like the Master Yoda of the worldwide Montessori movement is coming to visit us. 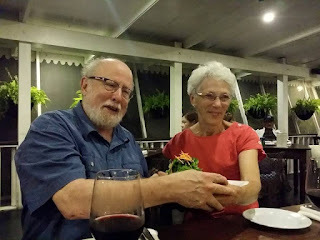 He was accompanied by his lovely wife, Barbara, and two reporters from the Philippine Daily Inquirer, who wrote a great article of their visit here. Mr. Kahn is not a stranger to some, as he was the mentor of Mr. Chris, my boss, when he trained under him in the USA, and Ms. Jeni, the adolescent program’s head teacher, when she trained under him in Sweden. Also, some of my students met him in an international Montessori Institute for the Science of Peace (MISP) adolescent summit in Washington D.C., where they collaborated with other Montessori students from around the world on finding solutions to the global water situation (see the beautiful recap video of that event here, with many of our students featured). The said students came back to the Philippines with an action plan that they dubbed #FundTheFlow, where they will endeavor to make an impact right here at home as we have great water problems of our own. You will see more posts on #FundTheFlow in the coming months, as the grade 10 students, the ones who spoke in the video above, strongly believe that they don’t need to wait until they’re adults to make a big impact for their communities. They can already make a huge impact NOW. You will see what they have in store in the coming months. David Kahn’s visit went very well. The students were petrified at first (I mean, he’s THE authority of the Erdkinder adolescent program worldwide, you know…no pressure), but they quickly grew to love his fatherly nature and low key personality. Their Business presentations were impressive as was the farm tour (both shown in the video), and Mr. Kahn had some nice things to say about both. The grade 10 students number 16 all in all. I took ten of them to Hinelaban Foundation in Sankanan, Bukidnon to do some work ahead of time, while the other six remained behind to handle the said business presentations. The Hinelaban group was exposed firsthand to how hard it was for the indigenous people in the area to get clean water, and some of them became quite emotional during the exchange. They also learned how important trees and forests are to our water supply; and the detrimental effects of our greed. 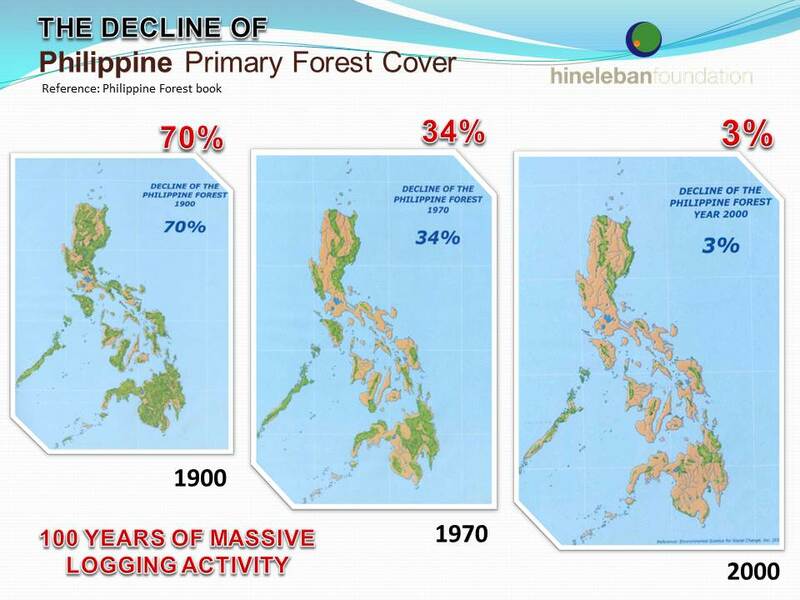 Without forests, we would not attract rain; and without forests, we would deposit massive amounts of silt into the oceans when it does rain, killing corals and forcing fishermen to go farther out to sea to catch fish. 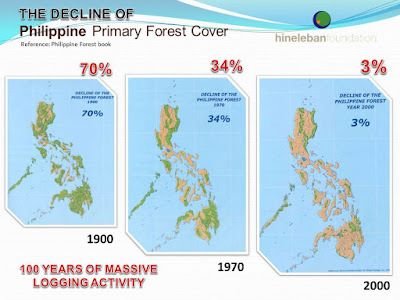 Almost all reforestation efforts fail, but Hineleban’s efforts are one of the very few who succeed (again, more on this in the later months as #FundTheFlow develops; no spoilers here). 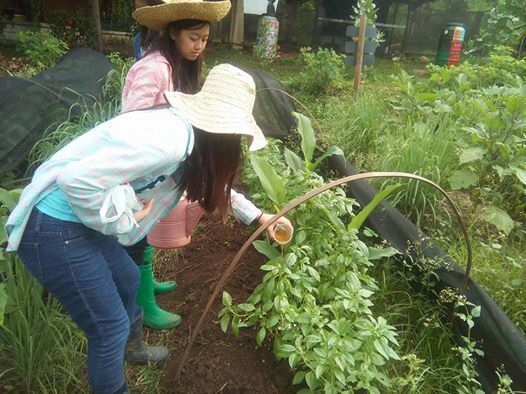 All 16 grade 10 students reunited at Hineleban Foundation’s farm, owned by John and Renee Perrine, on September 3, along with David Kahn and the senior faculty of the school. Here we all found out how Hinelaban helps both the livelihood of the indigenous people as well as the reforestation efforts of the area…and in doing so (using sustainable agriculture technologies) makes the best Arabica coffee on these shores. 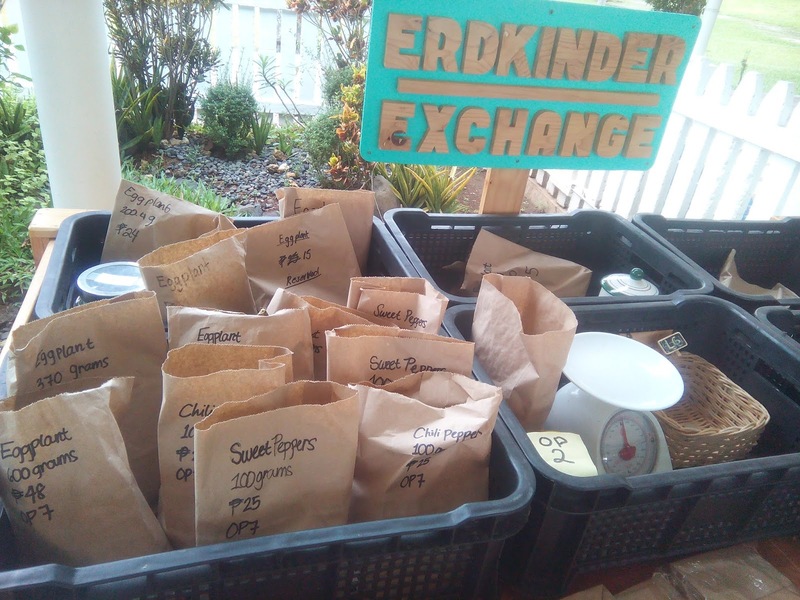 They even have a deal where a tree is planted with every purchase of a bag of their coffee, and you can keep track of the said tree via GPS. Cool, huh? Exhausted but fulfilled, the seniors rode back to Cagayan de Oro on the morning of September 4, the same day that David Kahn and the directors of the Abba’s Orchard school flew to Manila to speak at an Academic Symposium at UP Diliman. We all were amazed at the richness of this experience, and even through it was grueling, we felt recharged not only physically but in spirit. Once again, my fervor to be an adult who guides the next generation was rekindled, using the Montessori method of The Abba’s Orchard to do so. PS: I made a video a while back, showing the testimonies of current and former students. See it here, and it’s interesting that while academic excellence is a given, all of them focused on the non-academic benefits this school gave them. The video is full of wonderful and honest insights from the children themselves. Again, see the testimony video here. However, I have also had conversations with current and former students and their families, discussing how some of their relatives and friends are bewildered at, or make fun of, how their high school makes the students do farm work. The nicest of these comments simply wonder why; the harsher ones scoff at and question the usefulness of such activities and why on earth are they made to do something that is, in the commenter’s opinion, beneath them. 1. Real life application of academics. You use math to compute feed-conversion ratios, accounting, the computation of profit vs. cost; you use English for business reports and letters; there’s lots of science obviously involved; and of course, history will tell you that civilizations started with agriculture. For example, most students are only exposed to profit and loss and other similar terms in a textbook. Here they truly get to experience how profit and loss really is, trying really hard to get the former. and her best friend, Raine. Read more about them here. 2. Learning skills that truly matter. Schools and students are usually valued, maybe too much so, on grades and learning enough academic content to pass the big university exams. We have an excellent batting average there, for sure. However, hate me as a sacrilegious teacher, but I don’t think 99% of the high school students will actually use vectors, quadratic equations, the periodic table, etc. in real life. But leadership? Oh yeah. Working well with others? No doubt. Budgeting and planning? Yup. Composure and problem solving skills when things turn sour (like an animal getting sick, profits could go to the red, non-cooperative group members)? Surely. These are just as important, and I think more so, than whatever is learned through textbooks. Many schools prepare their students for college, we prepare ours for life. 3. Developing a love for nature. One of my great fears for my children’s generation is that so many grow up so detached from nature that when they become adults, they will less likely be inclined to protect it. Montessori kids, on the other hand, are much more in touch with nature and they often grow a deep desire to protect it. A connection with nature is emphasized from pre-school all the way up to the adolescent years, especially if it’s a farm campus like ours. display their pesticide-free, chemical fertilizer-free produce. 4. Learning to wait. Another fear is that my kids will have a hard time learning to wait because they grow up in an instant world: instant communication, instant food, instant intimacy…instant results in almost everything, actually. But those of us who have been around for a while know that “beautiful things take time” (a quote by one of my students, who learned this in a school activity). They learn that in a very real way here at the farm, as you cannot rush a chick to become a chicken or a seed to become a fruit-bearing plant. They should get the picture and then learn to wait for other things. 5. Not as susceptible to the dark side of power, possessions, and popular opinion. Going gaga over the latest boy band? Becoming slaves to the latest trends and popular opinion? Catfights and, well, arguments in general? Gossip mongering and power plays? I’m not saying that these things do not happen here at the school, but many transferees said that these are noticeably much less here. Why? Well, who has time for all that when you have a business to run? Also, the community and service atmosphere that the curriculum stresses also lessens the “me, me, me” mindset and servant leadership amongst students is actually a common sight. Students also learn to handle money properly, linking earning to service. 6. Appreciating good ol’ hard work. A student once said, after he became a senior and had an exhausting first cycle in his student-run business, that he now appreciates how hard his parents work to send him to school. That’s a great breakthrough for him, who, like many students in private schools here in the Philippines, come from privileged homes. Indeed, getting children to work hard in the sun, handle soil and manure, wisely raise animals and plants, and keep careful account of all money transactions…it builds diligence and character, which is something that this country desperately needs more of. Feel free to check out the school’s website, and you’d be glad to know that there are seven The Abba’s Orchard campuses all over the Philippines, four of them offering the Erdkinder Adolescent Program. And again, please do check out Hineleban Foundation‘s website, as they are doing amazing stuff there. Lastly, I would once again like to thank MVP Digital Video for such an amazing piece, and I would like to encourage you to check out their website here (wedding videos are their specialty, and boy are they good at what they do). Hello, my family is currently in qatar, but we are thinking of resettling back in cdo. We have a 7yo boy and we would like to transfer him to Abbas Orchard. Is there any website dedicated to the cdo campus that we can check? Your blog is a wealth of insight.. Thank so much. Hope your resettlement to CDO will go smoothly. If you are looking for a good place to stay, I also do real estate, so I can also help you out there.